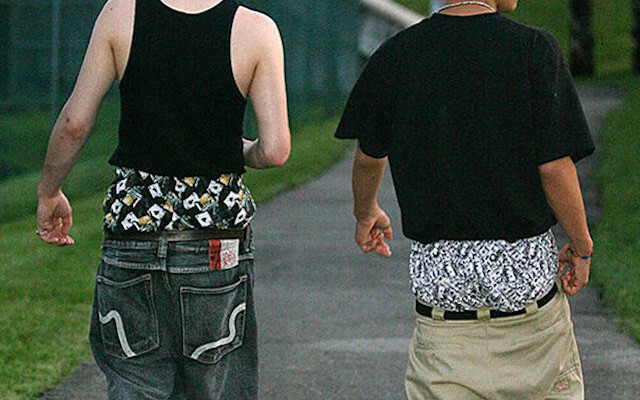 Two students at a Tennessee high school have ben jailed for wearing saggy trousers. Found guilty of indecent exposure, the pair were caged for a total of 48 hours. One student, Antonio Ammons, is upset that he was jailed and ordered to pay $250 in fines and court fees. All sad and upsetting. Students should be dressed in shorts and smart blazer at all times, unless ‘shirts sleeve order’ is called, in which instance pressed shirts should be tucked into the top of plain white Y-fronts. Anything less is anarchy.